Believe it or not, posting bail should be a fairly simple process. 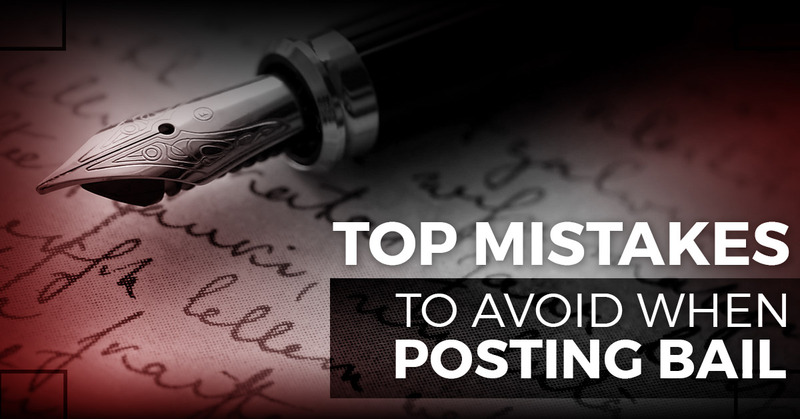 But there are several mistakes that you want to avoid making so that you don’t wind up facing more serious consequences. Keep reading to learn about the top five as explained by our local bail bondsman. Neglecting consequences or skipping bail altogether – In many court systems, a judge will forfeit your bail if you fail to make your court appearance. That’s not the only thing to be concerned with, though. A no-show leads to you being arrested again, but without the option of bail. The cosigner of your bail bond won’t be happy either, as they face the risk of losing their collateral and having to pay the full amount. For most folks, this person is a close friend or family member. So ditching a court appearance could, unfortunately, mean a broken relationship with someone who really cared about you. Lying to the court and bail agency – It might initially seem like a good idea to make up an address of where you’re going to be living after posting bail. But again, you can expect nasty consequences should you choose to deceive the bail bondsman or legal system. Not being prompt with paying off your bail – Depending on your incident, bail can be pricey. But that doesn’t give you an excuse to not pay off your bail accordingly. It’s imperative to meet deadlines here, as challenging as it may be at times. Getting arrested a second time – Naturally, bail significantly increases for repeat arrests. Hiring the wrong bail bondsman – While all bondsmen help you get out of jail, not all of them are the same. Some agencies take advantage of the fact that you’re in a compromising situation and just go after your money. We aren’t like other bail bond companies. Obviously, our clients come to ABC Bail Bonds to speed up the process of getting out of jail. But we also understand that many folks who contact us have no prior experience with such a service. Rest assured that you can rely on us to treat your case with the utmost discretion and confidentiality. Along those lines, we can answer any question you may have. You might be wondering how you can afford to post bail for yourself or someone you know. Our team makes payment as simple as possible. We genuinely care about our clients, which is why we always go the extra mile. Our professional agents are creative and flexible when it comes to bail bonds. Keep in mind that we accept all major credit cards, checks, and offer easy payment plans. Our licensed bondsmen are ready to help you at any time. So if you’re in need of 24/7 assistance, you can rely on ABC Bail Bonds. Don’t wait any longer. Give us a call today.